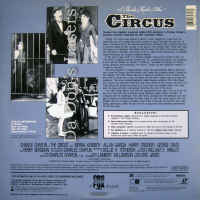 The Circus 1928 - 75 min. 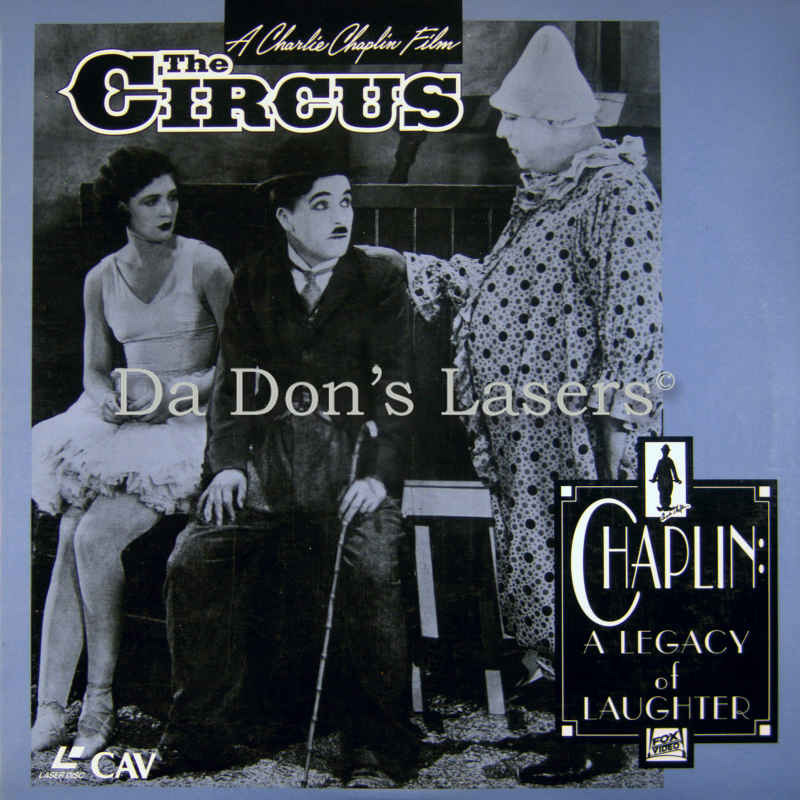 - Black and White Genre: Comedy LaserDisc Movie Review: The Circus is generally considered to be a lesser Charlie Chaplin effort, coming as it does between two unquestioned masterpieces, The Gold Rush (1925) and City Lights (1931). To be sure, the film is not one of Chaplin's best, but it has a lot going for it. Director Chaplin casts star Chaplin in his traditional "Little Tramp" role, who when first we see him is on the lam from the law. He takes refuge under the tent of a failing circus. Unintentionally, Charlie disrupts the show's big clown act, and the crowd roars. The ringmaster decides to hire Charlie as a clown, building the whole circus around him. Charlie has many an adventure and close shave while performing under the Big Top, the best of which involves a tightrope, a broken support wire, and a playful monkey. The standard Chaplin pathos rears its head when Charlie falls in love with pretty tightrope walker Merna Kennedy. When sweet Merna chooses handsome Harry Crocker, Charlie is left alone once more----but, with a characteristic shrug, he shuffles into the horizon and onto his next adventure. 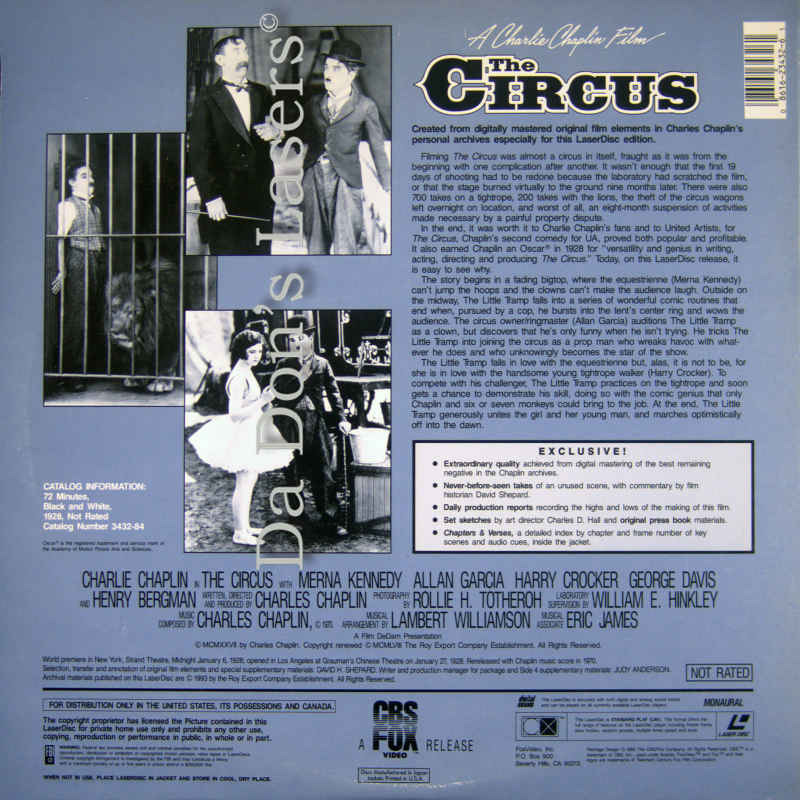 The Circus has several gaping logic holes which tend to pull the film down (we're supposed to believe, for example, that Charlie is unaware that he's a sensation as a clown, even after several weeks of performing before appreciative audiences), but the film contains several excellent setpieces, including a Hall of Mirrors sequence which anticipates Orson Welles' more serious Lady From Shanghai climax by twenty years. The Circus won Chaplin a special Oscar in 1928, then lay unseen for forty-two years; it was reissued in 1970, with a new musical score by Chaplin himself (who can be heard singing the theme song in the opening scenes). 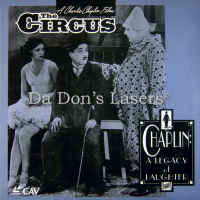 ---- Hal Erickson Charlie Chaplin puts the Little Tramp into the circus, and the result is his most underappreciated feature. Like many of Chaplin's films, The Circus blends the hilarious with the sentimental, and at the core is Charlie's destiny to watch from the sidelines as his love falls for someone else. The very navet and sentimentality of Charlie's scenes with Merna Kennedy are what make them so strangely affecting and sincere. But it is the comedy that makes this film priceless. Among the best sequences are: Charlie's pursuit by the police, which takes him through the house of mirrors and includes the famous gag of Charlie turning himself into a sort of robotic figurine to elude the police; Charlie's failure to successfully audition for the circus, because it involves being intentionally funny; Charlie's disastrous introduction as a prop man; Charlie getting stuck in the lion's cage; and, of course, the flawless climax in which Charlie attempts to perform Rex's high wire act. Throughout, there are smaller, more subtle, moments that flesh out the characters and give the film its heart, and as always with Chaplin, there is the essential aspect of Charlie's personality: the Little Tramp who tries to maintain his dignity in the face of ridicule and defeat. Chaplin's pitch-perfect comic timing and his ability to convey the Tramp's personality through the subtlest of gestures and expressions are what make his creation so endurable. In fact, he is so smooth that he makes it easy to take for granted the amount of work involved in making the film seem so effortless, but the very fact that the shooting for the picture spanned an amazing two years underscores just how much sweat and experimentation went into Chaplin's work. The Circus will probably always exist in the shadow of Chaplin's better-known efforts, but it deserves to be fully appreciated on its own terms. ---- Bob Mastrangelo Thanks for Visiting DaDon's Rare LaserDiscs ! Reviews, Articles, Newsletter and Information for Movies on LaserDisc LD Laser Disc, LazerDisc.